Container ship GANG TAI TAI ZHOU was at anchor on Xiamen outer anchorage, when typhoon MERANTI struck Xiamen coast yesterday. 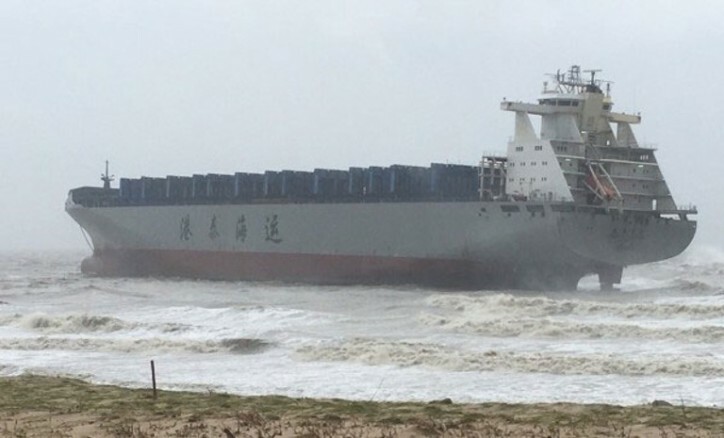 Vessel’s anchor dragged and the GANG TAI TAI ZHOU was pushed aground on southwest tip of Kinmen island. Crew understood to remain on board. A rescue boat was also dispatched to the grounding site. There is no information for salvage plan yet.